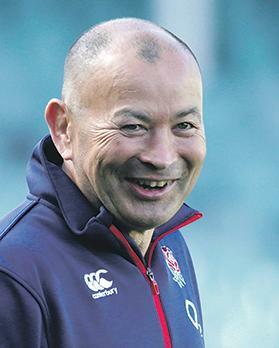 Eddie Jones – England coach. England are desperate to end their successful trip Down Under with a third win in Sydney today to secure an unprecedented series sweep over Australia, scrum coach Neal Hatley said yesterday. Having made history with a first win in Brisbane two weeks ago, and secured a first ever series triumph in Melbourne last week, the tourists are determined not to let their collective foot off the gas at the Sydney Football Stadium. “We just want to win 3-0, we’ve trained exceptionally hard as I’m sure the Aussies have,” Hatley said. “That’s what we set our stall out to do, we want to be ruthlessly competitive, to go home 2-1 might seem like a good thing for some people, for us we’ve set our stall out. England’s victories in Australia have helped move them above the Wallabies into second in the world rankings behind the All Blacks. Head coach Eddie Jones said before England arrived in Australia that they wanted a 3-0 win and has warned his players against the dangers of complacency in the run-up to Saturday’s match. “When you’ve had a couple of wins, praise can make you weak,” Jones said. “We’ve got to be very careful that all the praise we’re getting doesn’t make us weak. If you become weak once, you can become weak twice and to be a champion team you can’t be like that. “Outside praise is dangerous for a team and they’ve been getting a lot of it. We’ve got to be careful. In-form flanker James Haskell has been ruled out of the match due to a foot injury.